A cancer diagnosis can be a devastating event but some may also be preventable. In fact, an estimated half of all cancer deaths are avoidable by practicing healthy lifestyle habits, according to the American Cancer Society. One of the most potent cancer-fighting weapons is exercise. While the benefits of a regular fitness program include keeping the pounds off, improving blood pressure and mental outlook, exercise can also halt the onset of some diseases. Several studies have shown that physical activity is linked with decreased risk of some cancers, particularly breast and colon cancer. It is never too late to begin a fitness program, said Dr. Priscilla Furth, a professor of oncology at Georgetown University Medical Center's Lombardi Comprehensive Cancer Center. "The good news is that it doesn't matter [when you begin], in that you will see a benefit from exercise at whatever age you are," Furth said. Women who exercised for 150 minutes a week or more had a 34 percent lower risk of endometrial cancer (a cancer that begins in the lining of the uterus) than those who weren't active, researchers from the Yale School of Public Health reported this week at the Frontiers in Cancer Prevention Research Conference. The researchers also found women with a body mass index (BMI) below 25 had a 73 percent reduced risk, compared with inactive women whose BMI was above 25. People with a BMI of over 25 are considered overweight. People who followed healthy lifestyle habits, including exercising for more than 30 minutes daily, lowered their risk of colorectal cancer, according to a study published online in October in the British Medical Journal. In fact, 23 percent of colorectal cancers were preventable, had study participants adhered to the five lifestyle recommendations , according to researchers from the Institute of Cancer Epidemiology in Copenhagen. The study was based on a survey of 55,489 men and women between the ages of 50 and 64, who were followed for almost a ten-year period. Though several studies were inconclusive, some findings suggest a link between physical activity and a reduced risk of aggressive prostate cancer. Men who had regular recreational exercise showed a lower risk of developing advanced prostate cancer or dying from the disease, compared with those who reported no physical activity, according to a 2006 study in the International Journal of Cancer. And a 2005 study of Chinese men in the European Journal of Epidemiology showed moderate exercise may shield against prostate cancer . Furth advises personalizing an exercise routine. Pick an activity that you enjoy doing, then focus on intensity, she said. "It is not so much what you are doing but how intense you're doing it," she said. "You can do some vigorous gardening, and you're out there working really hard, digging. Alternatively, you could be going out running so slowly you never even get you heart rate up." Women who had a family history of breast cancer reduced their risk by one-fourth by doing 20 minutes of moderate or vigorous physical activity at least five times a week, along with maintaining a healthy lifestyle in other ways, according to a study published in October in the journal Breast Cancer Research. Even ex-couch potatoes can reap immediate anti-cancer rewards: postmenopausal women who gave up their sedentary ways and engaged in a moderate- to vigorous- intensity exercise program showed changes in hormone and protein levels consistent with a reduced risk of breast cancer, according to a study published online in February in the Journal of Clinical Oncology. Some findings suggest that starting an exercise program during adolescence may delay the onset of breast cancer for women who may carry a mutation in their BRCA genes (which are associated with an increased risk for the disease), but it doesn't prevent the disease from developing, Furth said. 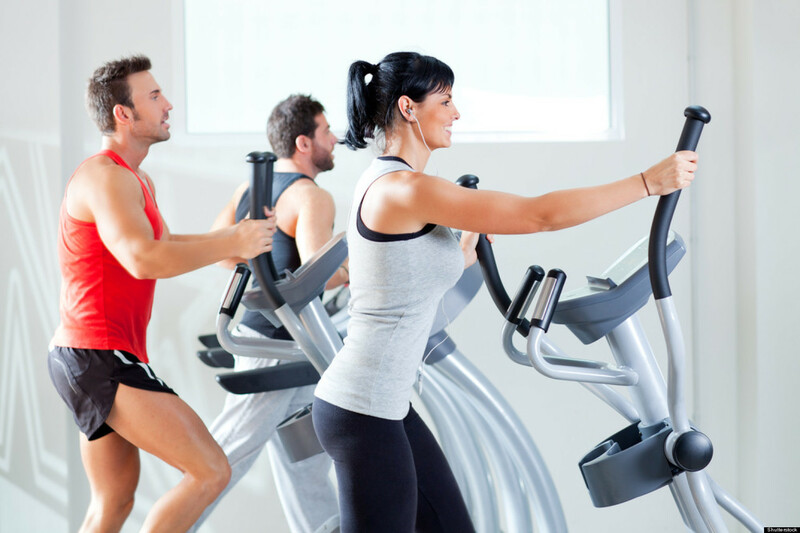 Exercise may reduce the risk of lung cancer for current or former smokers. University of Minnesota researchers gave questionnaires to 36,929 cancer-free women from Iowa, and followed the participants for 16 years. They found that women with high exercise levels were less likely to develop lung cancer than those who reported low exercise levels, according their 2006 study in the journal Cancer Epidemiology Biomarkers & Prevention. And men and women who participated in moderate and vigorous activities showed a reduced of lung cancer, especially those with low or medium body mass index, and smokers, according to a 2003 study in the American Journal of Epidemiology. Though additional studies are needed, some evidence suggests a link between exercise and a reduced risk of epithelial ovarian cancer (cancer that is found in the cells on the surface of the ovary). Women who engage in high-intensity activity most often had a reduced risk of invasive ovarian cancer compared to women who reported no regular physical activity, according to a study published in April in the journal Cancer Causes & Control. Furth's advice to those beginning an exercise program: begin at a low intensity, and gradually work your way up to a moderate level. "What you are aiming for is a cardiovascular workout that really gets your pulse up and gets you sweating," she said. People who reported at least a moderate level of recreational physical activity had a 50 percent reduced risk of gastric cancer, according to a 2008 study in the journal Cancer Epidemiology Biomarkers and Prevention. People who did strenuous physical activity throughout their lifetime also had a decreased risk of incident stomach cancer, according to a 2007 study in the European Journal of Cancer. Cancer Care Ontario researchers found an estimated 20 to 40 percent reduced risk of stomach cancer in those who did strenuous exercise more than three times a week compared with those who exercised less than once a month. Still, other studies are inconsistent about the link between gastric cancer risk and exercise, and differ in their results based on factors such as diet, body mass index and height.